In today’s retrospective, we look to analyze four of the seven characters of Never7 and learn some background stories about their development. These analyses will be broken up into two parts: an overview of the character themselves, followed by some developer comments about the character. The protagonist of the game, Makoto is a college student who skips most of his classes, leaving him without enough credits to graduate and forcing him to attend the Seminar Camp. As he reveals to Izumi at one point, his truancy can possibly be attributed to how he has no idea what he wants to do with his life after he graduates college. However, this nature also makes him an easy mark for Izumi’s Curé Syndrome counterproof experiment, since he has never met Izumi, unlike the rest of the seminar students. However, Makoto is still a good-natured young man who is nice and courteous to others, and is very sincere about his feelings. though he has a habit of exploding with anger and taking rash actions when he’s convinced he’s been fooled. Regardless, he will go to any length to keep the people he cares about from dying, even to the point of going back in time over and over again until he gets it right. Makoto is a very notable case of being a “player avatar” – a visual novel protagonist who is deliberately given a very basic personality so the player can project themselves onto them easier and feel as though they’re directly interacting with the game. The motivation for making Makoto this way was directly influenced by Uchikoshi’s own experiences with Memories Off. There, he had made protagonist Tomoya Mikami more individualistic, with a penchant for telling outrageous lies rather than telling the truth, making reckless remarks, weird jokes, and having a rebellious personality. 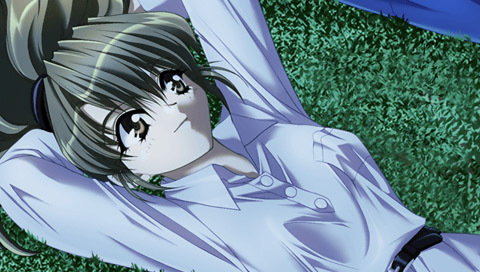 However, this attracted much criticism for players, who complained that they couldn’t connect with Tomoya very well over aspects like that, and that the developers apparently didn’t understand that for visual novels, the protagonist should be the player. Uchikoshi took these criticisms to heart and made Makoto much less individualistic in order to make him a player avatar. He also displays the view that “men exist to protect women” – a personal view of Uchikoshi’s that he was rather particular about (though Nakazawa considered it old-fashioned). Yuka is the outgoing leader of the Seminar Camp, very friendly with others and always tries to serve as the group’s moodmaker, and can be critical of others who fall out of line. She is also a stern lover of alcohol, frequently downing dozens of bottles of beer and going off on drunken tirades no one can hope to stop. She is also a good friend of Saki’s from middle school, though they have become slightly estranged after an incident then. However, behind all that cheer lies a fractured girl scarred by the death of her middle-school crush, who sacrificed his life to save her from a burning hotel before she ever had a chance to tell him her feelings. Afraid to fall in love again after this traumatic incident, Yuka is chained to the past, unable to move past it (a character trait that later became trademark of some of Nakazawa’s own protagonists in titles like I/O and Root Double). Furthermore, much like Makoto, she too has premonitions of the future, and is one of the only two heroines who retains their memories on the second loop. Unfortunately, her tendency to hide aspects of the truth leads to more tragedy until it finally puts a strain on her relationship with Makoto. But with the help of Saki, Yuka is finally able to gather the courage to confront her feelings and take that step forward, finally allowing her to break out of the infinite loop and be true to her feelings for Makoto as they greet the sunrise of April 7th together. 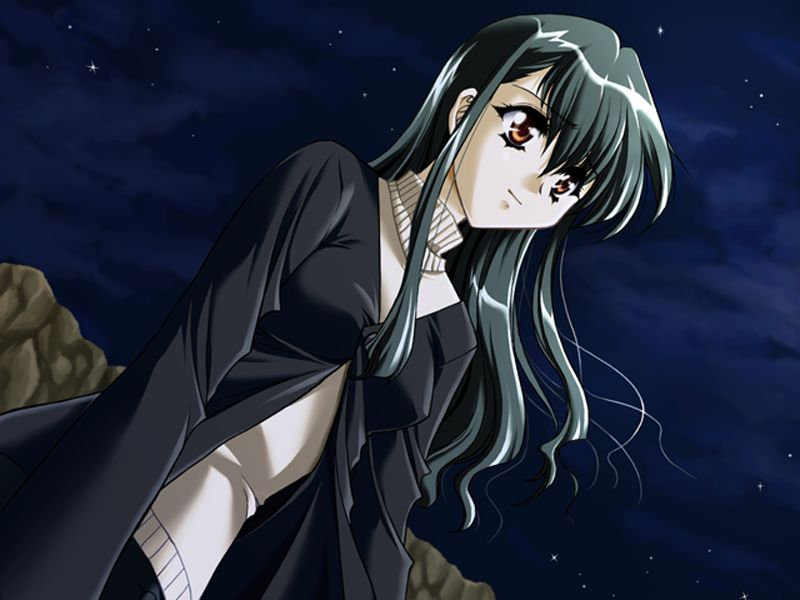 Yuka was made to be a friendly girl who could get along with anyone in order to disguise the time travel twist. By giving her that personality, the player would not find it odd how easily she seemed to get along with Makoto, to the point of referring to him without honorifics. But that said, she was conscious of him from the very beginning because she reminded her of her long-lost crush, while Makoto merely considered her a friendly girl at first, not becoming conscious of her until their conversation at the cherry blossoms on April 4th, when he becomes jealous when she mentions her first crush. If it ever came down to Makoto and her crush, she would definitely pick Makoto, but due to her lingering regrets over her crush, feels she can’t move on to Makoto until she’s settled that matter. So when she learns about the time travel, she tries to use it to take care of that matter, only to fail. A stoic and taciturn member of the Seminar Camp, Haruka almost never speaks to others except when necessary to the point of ignoring others, leading to the misconception she is cold. The only thing she seems to show any sort of reaction or interest in is water, which she often finds herself lost in. However, the truth is far from the case, as Haruka merely feels her entire existence is pointless. Born as the clone of Kurumi Morino to replace her after the latter’s kidnapping, she was scarred by her sister Izumi for being a replacement and was ultimately removed from the Morino family after the original Kurumi was found. Having lost the original meaning of her existence, Haruka suffers from a massive inferiority complex over being a clone whose original is still around. She believes that she is literally “nothing,” despite her supreme academic skills that allowed her to skip a grade, and because of that, believes she has no “heart” or emotions, and often struggles to understand other people. But beneath it all lies a gentle girl who can show deep compassion for others and can express great passion for herself. But by spending time with the members of the Seminar Camp, her hearts opens little by little, showing especial growth in her own route and Izumi Cure, the latter of which has her reconnect with her long-lost sisters. In her own route, with the help of Makoto, she is able to find her own worth and realizes that she doesn’t need to define her entire existence around Kurumi, realizing it’s okay for her to be her own person, and sees them off with a smile, eager to meet them once again. 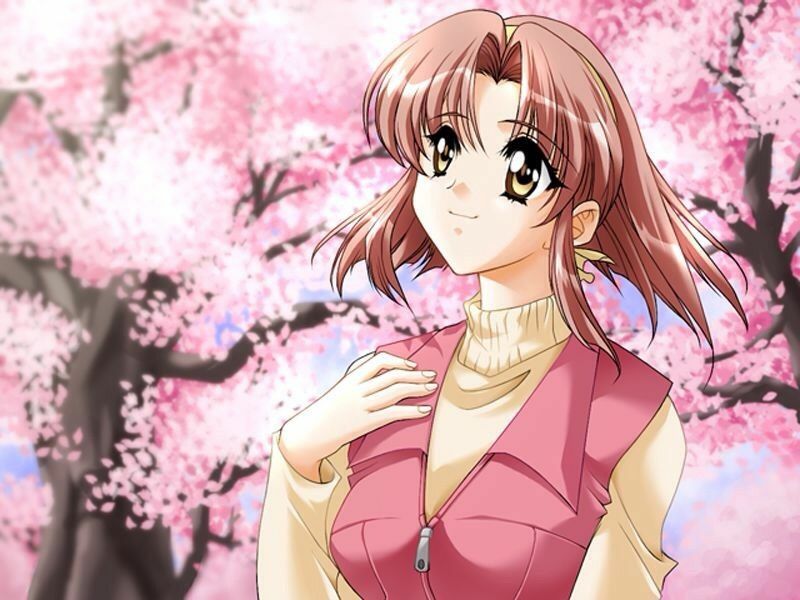 As a clone, Haruka received special treatment throughout her entire life, also leading to her ending up the way she did. She was given a love of sea roaches by the staff to give her some strange to like to contrast her serious image, though the exact reason why they decided on sea roaches has been forgotten. Haruka notably shares the same voice actress as her original, Kurumi. This element was decided at the same time Haruka was made Kurumi’s clone in the planning stages as a form of foreshadowing, and so Yuki Matsuoka ended up voicing both Haruka and Kurumi. While Nakazawa was initially concerned if this could be pulled off convincingly, Matsuoka and her strikingly different performances for the two characters surprised him. What had initially seemed like a simple gimmick became far more interesting, and few players actually realized they had the same voice actress until seeing the credits. A rich girl staying on the island, Saki is an old friend of Yuka’s from middle school and currently a student at the prestigious K University. On the outside, Saki is usually sociable, but can also be very abrasive, stubborn, and argumentative. Saki sticks very closely to her principles, but this often results in her clashing with others due to her refusal to explain herself and expecting to be taken at her word, which serves to her disadvantage at the most inopportune at moments. She also expresses a prejudice against clones and has a grudge against Haruka, which is revealed to be due to an incident where her parents forced her to stone a clone girl Saki had become friends with, making Saki believe Haruka was that girl. But deep down is a fragile yet kind girl who shows her true self to animals, having a hatred of people after an incident in middle school where she was accused of ripping up a painting the class made called the “Magician’s Portrait,” and no one believed her otherwise, thus she considers all people liars. After an incident in her route where she is convinced no one believes in her own route, she commits suicide. But in the end, Makoto clears up the misunderstanding about Haruka, and convinces her that he still trusts her, leading her to finally be more honest with herself and making up with Yuka and Haruka before deciding to move in with Makoto. In the epilogue, she decides to quit K University and join the group’s college, having formed bonds that she’d never formed back in her old school. At their first meeting, Saki is very put off by how Makoto refers to her without honorifics despite arguing with her. Saki actually requires glasses because she is a very hard worker, having studied very hard to get into K Academy and ruining her eyesight as a result, not being a natural genius, but rather a prodigy who works until she gets results. However, Saki also holds a resentment of the naturally talented who can do amazing things without putting much effort into it, which is why she has grudges against Yuka (who was the one who designed the Magician’s Portrait) and Haruka (though to Haruka, who sees herself as different from humans due to being a clone, sees studying as something natural, and thus doesn’t understand why Saki is so aggressive). Because she’s weak deep down, she falls hard for people who are broadminded, which is why she initially fell for Okuhiko until he revealed his shallow nature.